Nine Coliving & Coworking is a colive community for Digital Nomads in Tenerife. These are our favorite 4 restaurants for lunch or dinner in La Orotava, the beautiful historical town where Nine is based. La Zafra is a small restaurant in the historical centre of La Orotava and absolutely a must go. The two owners, a young married couple, opened their doors at the end of 2017. La Zafra offers fancy dining for a great place and in a cosy atmosphere. The menu is small (quality over quantity) with dishes that all can be shared. We recommend sharing so that you can taste many of the amazing dishes prepared by the chef. All dishes are from local products and inspired by the Canarian cuisine, but with a modern twist. For true Canarian food, good wine and a local atmosphere you go to Bodegón Tapias. No matter what day or hour, this place is always buzzing with locals. 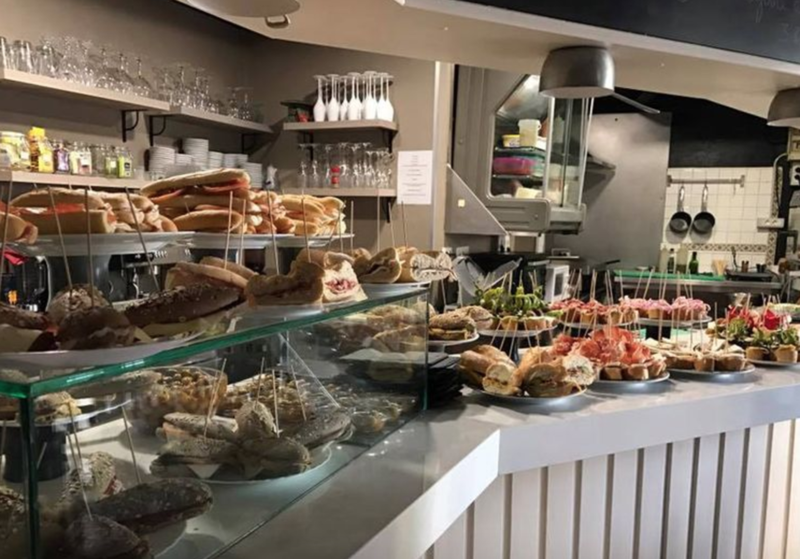 With wine barrels as tables, all local wines on display and ham hanging from the sealing, this place gives you the feeling of a real tapas bar. The menu is simple with typical Canarian food, not to be confused with the Spanish cuisine. Tenerife has it own kitchen and they are proud of it. Don’t forget to try Canarian potatoes and grilled cheese with Mojo, the famous Canarian sauce. A bit more of the beaten path, just outside of the historical centre, DaBeke opened it’s door two years ago. The first thing you notice here is the beautiful design, combining a historical barn with a modern interior. DaBeke serves modern dishes from the Italian and French cuisine. A lot of fresh products, clean and beautifully plated. We highly recommend combining visiting DaBeke in combination with a stroll trough the historical town of La Ototava. On one of the mail plazas in La Orotava you find Japanese restaurant Izakaya. A small and modern pace with the kitchen right in the middle. They manage to combine the Japanese cuisine with local ingredients, without loosing the true Japanese cuisine. You might for example think that Banana sushi could never work, but I dare you to try. The plaza where Izakaya is based is a lively place, specially in the weekends. After dinner you easily move next door to one of the bars at the plaza for a drink and live music. Enjoy the food scene in La Orotava, Tenerife!